Facebook is a powerful platform to use to put your business in front of many potential customers as long as you understand how to use their system. 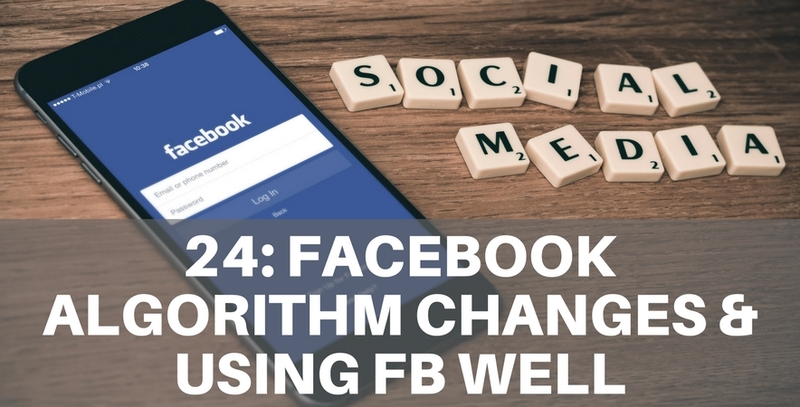 In today's episode, we discuss recent Facebook algorithm updates and how you can use Facebook well. Darryl: but they don't wanna do it but they're just not committed so I wanna bring it back and say this is also about understanding your content and and and people push stuff from oh wow it's easy I put it on Instagram I just put it out to Twitter and Facebook I do it here and I just put it out or that's not a smart content method because you're not customizing to the audience and this might lead to one of the things that does work on Facebook all the way that you've got to focus on it which is that you've got to have engaging quality content that's gonna get comments and interaction it's something you have to do so you need to think about this content I'm producing how am I gonna share that on Facebook what is my message what how am I gonna make it engaging how has it got quality how why would someone comment on it and what is the return for us from it. Edmund: so can you explain to me when Zuckerberg said create meaningful interaction what does he mean by that?